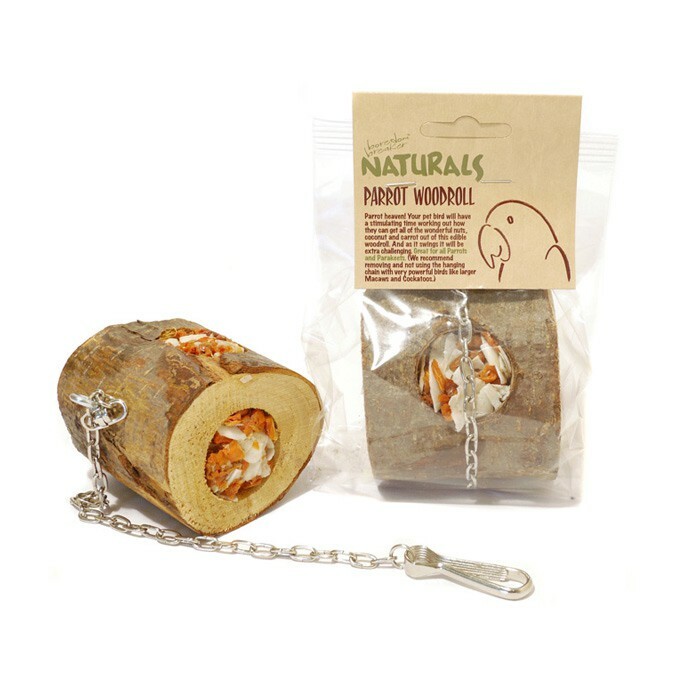 The Parrot Woodroll from Boredom Breaker's Naturals range is a tasty and healthy treat that is made up from an edible hollowed natural wood roll, filled with peanuts, carrots and coconut. Your bird will have a blast trying to prise all the treats from within. It can be placed on the floor or hung from the cage for that extra challenge. There are currently no questions for Boredom Breaker Naturals Parrot Woodroll - be the first to ask one!